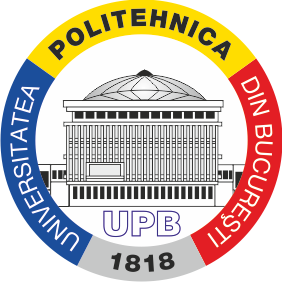 University Politehnica of Bucharest (UPB) is a public funded higher education institution founded in 1818 being the oldest and the largest technical university in Romania. UPB’s foremost mission is engineering training at all levels (B.SC, M.SC, Ph.D.). At the same time, UPB is not only a transmitter but also a creator of science and technology. UPB consists in: 15 Faculties, 5 Departments, 2.738 academic and 1.261 non-academic staff, 22.771 undergraduate and 4.643 postgraduate students. The ALSG – Advanced Learning Services Group is a unit within Dept. of Electronics, Telecom. and IT active in the field of education and training. ALSG’s activity is mainly focused on the innovation of E&T systems with special regards to the technology enhanced teaching and learning. ALSG develops research projects at regional, national, and European level in the following areas: distance learning technologies, pervasive computing, adaptive hypermedia and intelligent tutoring systems, mobile communication technologies, optimization methodologies, infrastructure building for e-learning organizations, observation of education systems, policies and innovation and staff training in the pedagogical use of ICT.